Bible Study & Resources > Articles & Papers > Why The Bible? Whether you accept and believe in its teachings or not, it cannot be denied that the Bible is the most remarkable, amazing, absolutely unique book that has ever been written. Of course, most people today sort of toss it out and dismiss it. However if you have an open mind and are sincerely searching for the truth, then you will then discover that the Bible is not merely some “churchy” handbook, but that it is the most wonderful, supernatural, miraculous, amazing, marvelous Book in the whole world. The Bible has the answers to every question we have concerning where we came from, how we got here, why we’re here, how to survive and be happy while here, where we are going, and how to love and have true happiness forever. It was written over a 1,6OO year time-span by over 40 authors from every walk of life, including kings, peasants, philosophers, fishermen, shepherds, soldiers, poets, statesmen, scholars, etc. Nevertheless, from beginning to end, its authors spoke on hundreds of controversial subjects with harmony and continuity outlining one unfolding story: God’s love for man. 2. The Bible Has Been Read By More People Than Any Other Book. It has outsold every book that has ever been written, and it still sells more copies every year than any other book in the world. But of course the bestsellers lists won’t dare acknowledge that in spite of all man’s writings and foolishness and fiction and ridiculous interpretations of history and reality, the Bible still outsells them all, every year. Another unique and related fact is that the Bible was the first major book ever to be printed on Gutenberg’s press. As far back as 1966 the whole Bible had appeared in 240 languages and dialects, and one or more of its books appeared in 739 additional ones. 4. The Bible, Compared With All Other Ancient Writings, Has More Manuscript Evidence Than Any Ten Pieces of Classical Literature Combined. Although originally written on perishable materials, having to be recopied by hand for thousands of years before the invention of the printing press, its style, correctness and accuracy has been preserved as no other book in all history. The Jews had special classes of scholars within their culture whose sole duty was to preserve and transmit the books of their Bible (the Old testament) with perfect accuracy, counting the very consonants, vowels, syllables and words per manuscript as a means of double-checking. Literally thousands of ancient manuscripts of the books of the New Testament (many in the original languages) have been unearthed which prove, beyond a shadow of a doubt, that the Scriptures have come down through the ages to us just as they were originally written. Many have tried to burn it, destroy it and outlaw it, from the days of the Roman emperors to some present-day antichrist countries. Its very existence today and the fact that it’s teachings and truths have been preserved despite the countless campaigns and tirades against it is in itself miraculous. Archaeologists following Old Testament references have rediscovered whole nations and resurrected entire peoples that the skeptics and critics once said were nonexistent or imaginary. In fact, it can be stated categorically that not one archaeological discovery has ever contradicted or cast doubt on a Biblical reference – all have confirmed it’s accuracy. These accurately predict the future of individual nations, peoples, cities, and the coming of One who was to be the Messiah. Although the ancient world had many different devices for determining the future, nowhere in all of Greek and Latin literature can there be found any real specific prophecy of a great historic event to come in the distant future. But the Bible is full of countless, detailed, specific prophecies, all of which have been miraculously fulfilled and come true except, of course, the final end time prophecies which are either to be fulfilled in the near future or are coming to pass right now. What an amazing and remarkable book. Yet so many people today, who consider themselves so smart and so knowledgeable, ignore the Bible completely. Time and time again we talk to people who’ve been through years of college and university and have read hundreds and hundreds of books — volumes of textbooks, religious books, philosophical books and all kinds of books — yet have never even cracked open the Bible, the most fascinating book in the world. A book in which you can find almost anything: drama, love, hate, peace, war, romance, poetry, prophecy, history, mystery, etc., etc. Just think about it. Words of wisdom from thousands of years ago, from the days before Moses. It’s such an important book, and one of the oldest books in the world yet, a lot of “educated” people don’t even bother to read it. They waste time on all of their complicated and confused theories while neglecting the very Words of Life, the Bible, which is so simple, direct and to the point. If you were going on a long journey and didn’t already know the way, you would bring along a map, wouldn’t you? Well, you are on a long journey, and the One who does know the way has instructed some of His men to draw a detailed map so you won’t get lost and so you can learn the right way to operate down here and ultimately make it safely to your final destination. But to say you don’t have time to read God’s map, the Bible, is like a driver going on a long journey and saying, “Well, I’m in such a hurry to get there I don’t have time to look at the map.” If you’ll just take the Bible and simply read it, believe it, and follow it, you will be on the right path and will wind up in the right place. And that is actually the greatest proof that the Biblike really is the miraculous, supernatural Word of God Himself – it works. So why not try it? 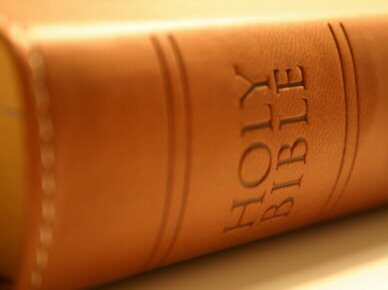 It’s the greatest, most enduring, wisest, most truthful book in the whole world. One that you can really trust. I’m sure that you will find it an absolutely inexhaustible source of wisdom and knowledge, out of which you will constantly find “treasures new and old.” (Mt.13:52) –Beautiful. Of course the most wonderful thing about the Bible is that through its words, we can get to know its Author. For the Bible is God’s great love letter to us. Its Life-giving words make it the greatest book in the world, with the only Author in the world that can guarantee life, love, happiness, and Heaven forever through simply reading it and believing in its main Character, the One Who loved us so much that He gave His Own life to save us – Jesus Christ, the Son of God. All of the wonderful, thrilling things that you read about Jesus doing in the Bible can happen today as well for “Jesus Christ is the same, yesterday, today and forever.” (Heb. 13:8) And, just as He spoke to men of old, His prophets of the past, so He is still alive and speaks to us today through His Word, thank God. In fact, He has spoken to and given us a lot of Words for today, this end time in which we are now living. So take the Bible and sincerely pray, “Open my eyes yes, that I may see wondrous things out of Your Word.” (Ps.119:18.) Take the wonderful words of Jesus in the Gospels and read them — not as fairy tales of the past, but as God’s Word for you today. And, see how inspiring, uplifting and encouraging the Truth of the Word of God can be. In the beautiful Gospel of John particularly, you will find the spiritual depths of the Love of God and His Salvation for you. Have you received God’s love through Jesus? Have you tasted the wonderful, soul-satisfying waters of His Wonderful Word? If not, receive Jesus into your heart personally by simply asking Him to come into your life, to forgive you of all your sins and give you His love and peace and free gift of eternal life. Then you cannot only read His Word with understanding, but you’ll have the love and the strength to obey it and to share His Truth and Love and Wonder Working Words with others who need them too. The Christian faith is never a guarantee against trouble. But it is a guarantee against defeat when trouble comes.